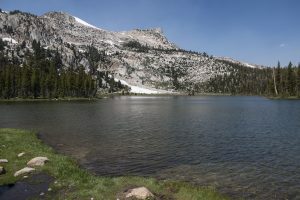 A moderate grade through the trees leads to this quiet, picturesque lake nestled below the unique shape of Unicorn Peak. The first 500ft/150m of elevation is gained through a lodgepole forest with limited views. As the trail levels out, small, pleasant meadows are interspersed amongst the trees. Unicorn Creek becomes visible as does Unicorn Peak just before the trail opens up into larger, alpine meadows. This sublime section is backdropped by various craggy peaks of the Cathedral Range. After hopping the creek, the trail takes you to the western shore and wonderful views. The official trail ends at the southern shoreline, bypassing a peninsula that juts out into the lake. 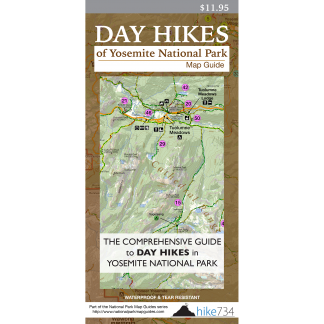 Trailhead: Turn into the Tuolumne Meadows Campground. Follow the road to Loop B. Park near the restrooms. The trailhead will be slightly up the road on the opposite side.